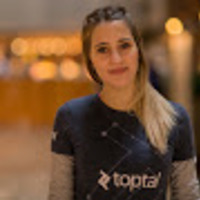 Toptal is pleased to sponsor PythonBrasil 2017, a conference which brings together hundreds of people for 6 days to discuss free software, development practices, and Python. The 2017 edition will be held in the capital of Minas Gerais state, Belo Horizonte, from October 6th-11th. The event will take place at Dayrell Hotel, starting at 8:00 AM. For more information on the schedule, please visit the event website or contact Victoria Marafetti.